That sounds killer bro! Have a nice weekend! I have had stellar results with a few American seed banks recently. Seedsherenow, jamesbeancompany, and thedankteam. They have all been fast, I receive what I order plus freebies. So happy I don't have to order from over seas anymore. It always took much longer and the whole going trough customs thing, just always felt sketchy to me. Most of the american breeders only carry reg seeds. I was on the fem bandwagon when I first started growing a decade ago, but now I feel like the breeders with the super dank, stick to regs. Don't get me wrong I have found some fire in fems, but more so since I have been trying the American breeders. And sexing is cake. JMO. Singleseedcentre.com was a good seed bank though, and I never had any problems with them, if you prefer the UK. A esos les llaman "Los FemiCopys"
Most of the american breeders only carry reg seeds. I was on the fem bandwagon when I first started growing a decade ago, but now I feel like the breeders with the super dank, stick to regs. Don't get me wrong I have found some fire in fems, but more so since I have been trying the American breeders. And sexing is cake. JMO. Would you guys pay that for 10 seeds? That's way to rich for my blood. I think maybe someone here knows them, and grown them, but it seems extremely expensive for ten seeds. I expect they would be of the highest quality and all, but $700 for ten beans? Like out of this world. Do you know them @GrowerGoneWild? I seem to recall you showing us a collection of these beans. The beans you are talking about are Magnum Opus, they are 600 a box. The lineage is respectable, its been worked 11 generations. Hence the price. We are still working that particular cultivar and its been crossed other lines, we are kinda looking at the results. Looks promising so far. Afi has some really good gear, like the Long Valley Royal Kush, I think they went through 3000 plants for a keeper. I hear it all the time, "too expensive". But to be honest, the results are impressive and crossing it with other elite lines have yielded some outstanding results especially the black lime lines. Awesome structure, outstanding terpene quality. If you have never run any of the Afi seeds,I kinda wish people would just keep to themselves. The Afi hybrids we've come up with usually get premium prices still in a saturated market. Its easy to get 250 an OZ or 3k+ an LB easy. I like to think the gear we put out is different. The breeder/seedmaker I know made a million bucks off of afi gear just selling flowers. I think you have to see it yourself or understand the literal mob of people that show up at the aficinado booth at the emerald cup. current times are reminiscent of the California Gold Rush. A lot of hucksters and suckers being taken to the cleaners IMO. The national economy is white-hot, idiot kids with lots of money to spend and people eager to take it. I talked to a guy at the Freedom Rally who had just purchased a huge mason jar with a single stalk of cannabis in the jar. 4-5 flowers attached to a 10-inch long, 1/4-inch thick stem. The flowers had some purple coloring and were untrimmed, only the fan leaves had been removed. The kids says "this bud WON the blah-blah cannabis cup, champion, and it's untouched by human hands". I'm thinking, you just paid $400 an ounce for a huge tree trunk and you still have to go home and dry-trim the buds! I think the growing culture is 80% of quality and the strain 20%. If you grow any strain with proper organic methods, and drying/curing, most people will be blown away by the buds. There's nothing i would like more. Thanks for the explanation @GrowerGoneWild, in a few months/years when i know how to grow good, i will be getting some of those. Cool. Idk? You have to pay for gems. I could possibly go through 3-5 10 packs to find a true keeper from other breeders. Not to say that there wouldn't b something good in every pack, but to find a plant with all the specific traits you want could take that many plants to find. But if I bought that $600 pack and it wasn't super stable with multiple gems to choose from, I would be really disappointed. But if I bought that $600 pack and it wasn't super stable with multiple gems to choose from, I would be really disappointed. I'd expect to see pink elephants and unicorns flying around for $600! Hmm... pink elephants would b nice. But I would be happy with a bomb diggity cut I could enjoy with my patients. And you also have to factor in consumer location. If u r in a state that hasn't gone medical yet, a true gem might be worth that to somebody. Also space constraints to do a proper pheno hunt to find the size, quality, yield, and terp profile you want. But if you live in cali, Denver, or Pacific Northwest, and have multiple places to source cuts and plenty of friends who grow, then I would definitely never go that route. I'm not saying I would buy a $600 pack of seeds. I'm happy with my $50 packs of TGA and BOG, but I could see how a certain clientele would find it appealing. Also there is just that boujey type of person who wants the most expensive thing because it's "rare" or "cool" or whatever. I can't hate on someone peddling their "special" seeds to that clientele. Get that money homey. $600 seeds are marketing ploys like these waters that cost hundreds of dollars. Dont knock it until you've tried it. 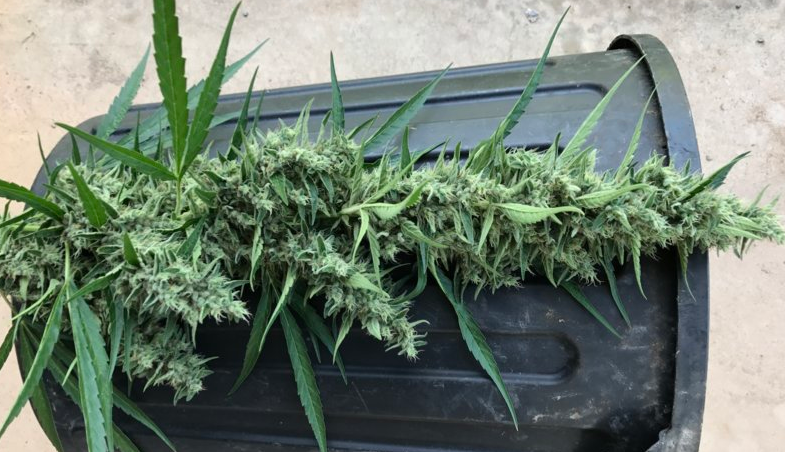 Some seeds live up to the hype and some do not, but I've already posted private Afi crosses, that show excellent results, and the feedback from my clients leads me to believe that we are on the right track. They dont know know how much the seedstock was, they just want more. If you are just throwing 10 seeds into the ground and looking for amazing, you're thinking is flawed, They should be selected, and crossed. Hey not hating brother. Like I said, do u. If ur happy and ur customers r happy, then that's all that matters. I can definitely tell u share the same passion for cannabis, as me and others on OG. I agree though. Something new shouldn't be near that much. Greed is just bad juju. Baudelaire offers affordable C99 descended from the original BG lines, also Subcool/TGA has Vortex which is basically the same thing, I've been wanting to try it, the flowers look awesome.